Today’s post comes from a huge project I have begun to tackle for one of my clients this week. Recently we teamed up with a service to help us promote the selling of a live set recording, right after the show. It’s a fantastic service, we were all really excited to set up some targeted email marketing to people in the area where the concert was and to where my client’s largest fan base is located.All was going smoothly until we took a closer look at the list of emails that were being pulled up when we searched for certain cities within our list. People living in completely different cities AND states than what we were searching for were showing up! It was bizarre! A search in Los Angeles or the state of California shouldn’t be pulling up people in Vermont or Las Vegas. It was clear right away that the list required some…maintenance. It turns out that the initial import of the list, the people’s information of city, state or even country weren’t imported correctly. Therefore, every entry from that point was also incorrect. Needless to say, our ‘target marketing’ was nonexistent and it frustrated everyone on all sides. Now that we are aware of the problem, we’re taking steps and cleaning up the list. Correcting 1000s of contacts to ensure each of their location is correct will easily take 3 or 4 hours, even for the most tech savvy. If you don’t have someone on your team to take care of the maintenance of your list, that will mean a lot of valuable time of yours taken up. Valuable time that could have been avoided from day one. Your newsletter list is one of the most important tools you have to promote yourself and your art, so it’s crucial to have the list updated and correct. So don’t let it run loose and get out of control! Here are some ways you can ensure your list is where you need to be AND to avoid taking time going back and cleaning it up. 1. Initial Set Up – If you are new to building your newsletter list, don’t hesitate to ask for help from day one. 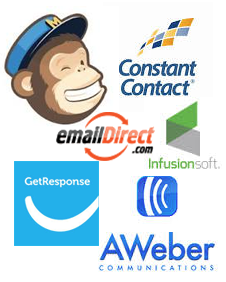 All CRM sites are going to have support and step by step instructions on how to upload your list / add names. You want to make sure you get it right from the beginning. 2. Decide what’s important – You can ask for lots of information on a person to add to your list. You can ask their gender, age, phone number, etc..this list goes on. Here is where you want to decide on what’s important. Do you care what city they are in or just their state? Do you want to know their birthday so you can send out happy birthday emails each month? Obviously, don’t go crazy and ask for their life story, but make it a point to get the information you need. In most cases, the three most crucial items are email address, city and state. You can target certain cities or states with promotion that way. 3. Stick to getting that information. – Be a stickler to getting that information from people who sign up for your list – whether in person or online. If you get a list of signups after a show of just names and emails, put them under the city the show was at. That is your best bet at target marketing them later. 4. Make it easy for people to get the most accurate information. – If you really want to know someone’s email, city / state and birthday, ask for it! Include it in your sign up forms everywhere. Also, if you’re able to use your own or borrow an iPad for people signing up on the go, do it so you can include the information you want on your form! Leaving it out or being lazy about asking for the information will only slap you in the face later. I know that this may seem tedious, but remember that taking those extra few minutes to ask for their city or adding the form field to your sign up forms will result hours and hours avoided spending on cleaning up your list. Make it work and make it work for you. Have a great day (stay warm east coast!) and see you next time.